In the spring of 1890, conditions on United States P.O.W. Camps (Indian Reservations) were unbearable. Fraud, theft, and murder had become a way of life for US Forces and corrupt Indian agents. Broken Treaties, the slaughter of the buffalo to near-extinction by European settlers, and the continued seizure of Lakota Lands brought forth a spiritual movement in the form of the Ghost Dance. Though outlawed by the US Government, Chief Spotted Elk and the Lakota were strong believers in the Ghost Dance ceremony. After the murder of Chief Sitting Bull on the Standing Rock Reservation on December 15, 1890, 200 members of his Hunkpapa band, joined Chief Spotted Elk and his Miniconjou band at the Cheyenne River Reservation. Seeking shelter, Chief Spotted Elk, seventy years old and suffering from pneumonia, led his band of Minneconjou and Hunkpapa Lakota Sioux to Pine Ridge Reservation. On December 28, 1890, the 7th Cavalry, commanded by Major Samuel M. Whitside, intercepted Chief Spotted Elk. Flying a white flag, Chief Spotted Elk and his band surrendered peacefully and were escorted to a campsite near Wounded Knee Creek. That night, winter winds blew cold across the village of Wounded Knee as Col. James W. Forsyth placed four Hotchkiss cannons around the encampment. On the morning of December 29, 1890 the 7th Cavalry of the United States Army, vengeful and trigger-happy after the death of Lieutenant Colonel George Armstrong Custer and the defeat at the Battle of Little Big Horn, opened fire. Chief Spotted Elk was down with a fever when Hotchkiss cannons rang out on the P.O.W. Camp. When the reign of terror was over, more than 200 unarmed women, children, and men lay dead on the frozen prairie in what became known as the Wounded Knee Massacre. Among the dead was Chief Spotted Elk (Big Foot). The Wounded Knee Massacre of 1890 failed to end the Ghost Dance spiritual movement, and The United States still wages a covert war against the Lakota, Native Nations and Indigenous Peoples. Together we are strong. 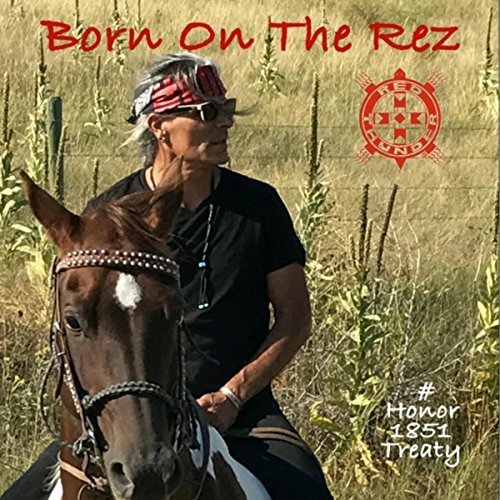 Join us in this musical and artistic collaboration to stand united with one voice to the forces that threaten Indigenous sisters and brothers, land and life. Sign Up-Pledge Your Support-Share With Your Friends!